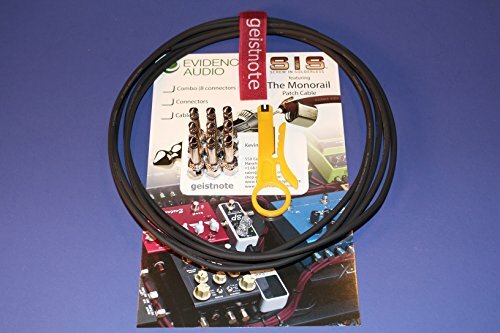 Geistnote's Evidence Audio The Monorail, Black Cable, SIS (Solderless) Pedalboard Kit - 20 SIS plugs/10 feet of Black Monorail by Evidence Audio at Riot Recordings. MPN: 4334423585. Hurry! Limited time offer. Offer valid only while supplies last. Evidence Audio introduces the prefect 1/4'' phone plug for use with its award-winning The Monorail signal Cable, the SIS (Screw In Solderless) plug.